Get the book that will change forever the way you exhibit at trade shows. Business books always use the same pattern: checklists, bullet points, case studies, dos & don'ts. The Trade Show Chronicles takes a different approach. Written like a novel, it tells the story of a young salesperson organizing his company's exhibit at an expo for the first time. With him, you will experience the entire journey of an event planner, from budgeting to selecting the best booth location, promoting your participation, selecting & training your staff, capturing leads, following-up & converting prospects, tracking your results, etc. Because it is written like a novel, the lessons drawn from this book stick much better with the reader. Enjoy hundreds of applicable tips to upgrade your trade show strategy and your team's efficiency immediately. You get actionnable tips, directly applicable to your situation, for all aspects of your trade show booth organization. You learn everything you need to know about exhibition management, before, during and after the event. You replace checklists and bullet points business books with a novel - learn everything through concrete examples. Want to learn how to exhibit successfully? You could find a bunch of checklists, get some tips from your social network, or learn-by-doing (which could take a while). But if you want a different way to learn best practices for an exhibitor; planning, managing (tasks and people) and executing with efficiency, take a journey through a clever narrative that is packed with real-life situations, issues, and personalities. I am talking about Julien RIO's new book, The Trade Show Chronicles. You won't get Top 10 Lists, or Dos and Don'ts. What you will get is a well developed storyline that follows Andrew, a fictionalized character that any event or trade show manager can relate to. As you travel with Andrew through the complete process of producing a successful exhibit, you will get entertained and educated at the hand of the author, Julien RIO. He knows a lot and knows how to present it in an engaging story format. Enjoy and learn. This is a complete masterpiece from A-Z for everyone who plans to exhibit or even visit an event, and make useful notes for future business plans. It is an amazing imaginary journey, and at the same there´s so much in common with real life companies expo preparations. 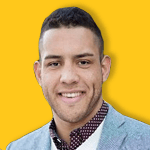 Julien Rio is a true event & expo professional and his clear thinking connected to wide personal industry knowledge can be shaped to the form of this great reading experience. You want to be an event pro? Then do not miss this book! Not everyone gets to experience the entire tradeshow, from beginning to end and after. This walk through the complete process will be reminiscent for many readers. 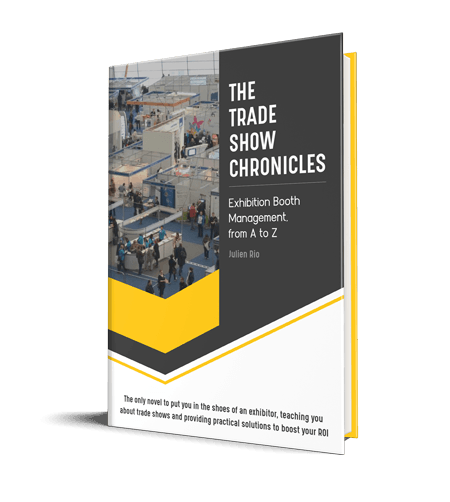 The Trade Show Chronicles perfectly depicts the complexities of the trade show industry and how difficult it can be to navigate. Many companies find themselves in situations similar to Andrew's where they are in charge of a large trade show project and have no idea where to start. Whether you are just beginning to manage your company's trade show program or have been in the industry for years - The Trade Show Chronicles is a relatable guide that provides crucial information that will help even the most seasoned planner cultivate an impactful trade show program. 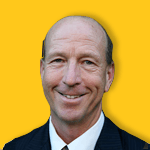 Julien Rio is an expert in trade shows and exhibitions and a regular contributor to the events industry. 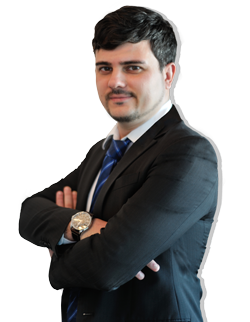 With 10 years of marketing experience in Europe and Asia, Julien regularly speaks at conferences and writes for various online & offline publications. 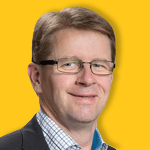 After organizing exhibits in multiple countries, he founds myfairtool and writes The Trade Show Chronicles to help companies better manage their expos. The Trade Show Chronicles is a fiction based on real events. Andrew is a fictional character, yet, many aspects of his story come from my own experience. I moved to Hong Kong a decade ago and worked in marketing across multiple industries: logistics, electronics, hospitality, apps, toys, medical, cleaning, events, manufacturing, etc. Almost immediately, I entered the world of trade shows, organizing booths for my company at different exhibitions around the world and often being in the booth, dealing with visitors then managing the followups for the whole team. The very first time I was put in charge of our booth, I had little to no knowledge of what trade shows were all about. I was dynamic and eager to take on additional responsibilities so I did not reject the challenge - I spent weeks reading books and online articles to figure out what I was really supposed to do. Each day had a new surprise, a new difficulty for me to overcome. From reading lengthy and messy exhibitor manuals to dealing with uncooperative suppliers, I faced all the problems you could imagine organizing your first event. When the opening day finally arrived, I was really excited. Talking with visitors was a great opportunity for me to really face our customers and better understand their needs. I was also really keen on receiving praises for my good work setting up the whole booth, but I quickly realized that The Trade Show Chronicles no-one actually knew the amount of work that I had to put into it. It was as if people believed the stall just grew on its own. That's it. 6 months of preparation, stress, excitement and frustrations are now over. Today is the first day of the exhibition. I woke up at 4am and couldn't go back to sleep. I reviewed my plan and all my documents, tried to have breakfast but couldn't eat anything. - "Home... what's going on Andrew, you sound panicked." she says, obviously just waking up. - "Nothing is ready! There's no light, the cartons are still on the floor, the samples haven't been placed and..."
- "Calm down Andrew... the fair opens at 10. I will be there in an hour and I will call the electrician on the way. Start taking care of the cartons, I'll be there shortly." She hangs up. Am I less worried? A little maybe. I decide to take the lead and start managing the booth. I reach out for my toolbox - thank you Charles for your bright ideas! I get a cutter and start opening cartons. I place samples on the furniture as per Karen's plan, flatten cartons and store them in the cabin, sweep the floor, dust the place and get things organized. - "Hello. I'm here for the light, what's the problem?" asks a man, early forties, well-fitting overalls and his very own toolbox in his hand. That must be Karen who arranged it. - "Well... there's no light in our booth! We've requested having two halogens in the back there as well as spotlights here, there and back there" I point around the booth. - "And...?" he asks, disenchanted or simply bored. - "And it obviously isn't working!" The man remains calm. He hasn't moved. He's chewing something. - "Have you tried the switch?" - "The... what? What switch?" - "As per your floor plan, we've installed a switch in the cabin. Have you tried pressing it...?" I did not want to end the Trade Show Chronicles without giving you some actionable takeaway. Every business is different and everyone's story is unique. What Andrew went through may not apply to your own situation and his approach might not be the right one for your company. It really is for you to figure out what makes most sense to achieve your goals and reach your targets. Yet, the backbone of every good trade show strategy is always the same and the different pieces that compose this strategy remain very similar. 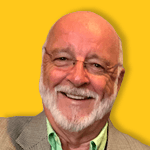 In this section I will review some key elements from Andrew's story that you could apply directly to your next trade show. The goal is to give you short and practical tips that could forever change your trade show management. Up to you to cherry-pick what is relevant to your unique situation. Always plan in advance - 6 months is not too much to prepare your team for a trade show. But do not waste this precious time with procrastination: the temptation of saying "I have plenty of time, I can worry about this later" can be strong! Start with a checklist of all the things you will need to organize, and setup a calendar to spread these tasks over the given timeline. CONTINUE READING, GET THE TRADE SHOW CHRONICLES TODAY!